A Reader's Adventure! : Happy Debut day! 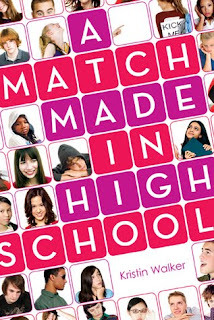 Today is the release day of A Match Made in High School! If you read my review you know how much I enjoyed that book, so I am wishing Kristin Walker a great Debut Day! My review will be re-posted later today! Happy debut day Kristin!!!! Check out this fabulous book, out today! Added later * It is also Suzanne Young's Debut Day as well! Her great novel The Naughty List Debuts today! I wish both of you a great day!